I have a special polish to show you today! 2013 marks the 20th birthday of QVC, and OPI have designed a new polish especially for QVC to mark the occasion! Purple-iscious (Spelt purple-icious on the QVC website, which to me seems correct but the bottle says purple-iscious!) is a deep purple shimmer polish with sparkling flecks and a slight duochrome. These first few pictures were taken in direct light, which is where the colour really pops! It's beautifully shimmery and sparkly. The formula is quite thin and sheer on the first coat, but very easy to build up. It's not overly glossy by itself so I added some top coat to make it shine. These last 2 pictures were taken in indirect light, where the colour is flatter but still lovely. The shimmer isn't as evident but you can see the duochrome a little bit, although it's more prominent in the bottle unfortunately. I love love love this colour! I'm a purple fan anyway and this is not a disappointment! 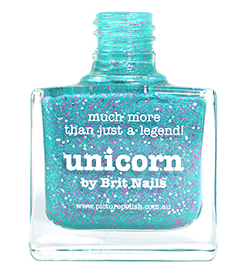 Plus it's always nice to have a special edition OPI, isn't it?! You can buy Purple-iscious here from the QVC website, it comes in a set with OPI Original Nail Envy (which I can never speak highly enough of!) and costs £22. Pretty shade, reminds me of Grape...Set... Match that came out in one the Serena Williams duos. Interesting that OPI made this for QVC..OPI has been selling on the first line competing home shopping channel to QVC, HSN just as late as last week on air. This is a gorg shade.But ugh ... the shipping costs on QVC are usually so high it makes things more expensive then I want to spend.